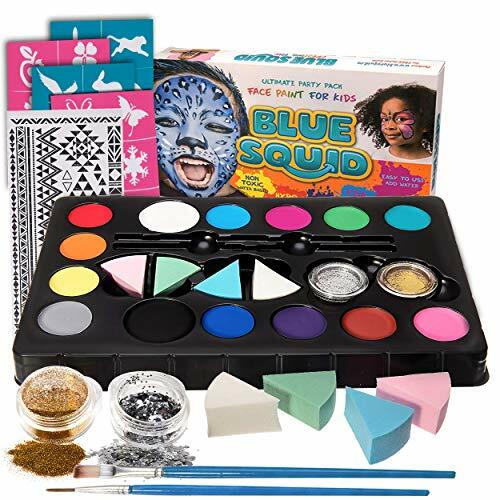 Put a new face on fun!No matter what your experience level, you can turn everyday faces into sweet, funny or frightening works of art that move, laugh, grow and always make people smile! 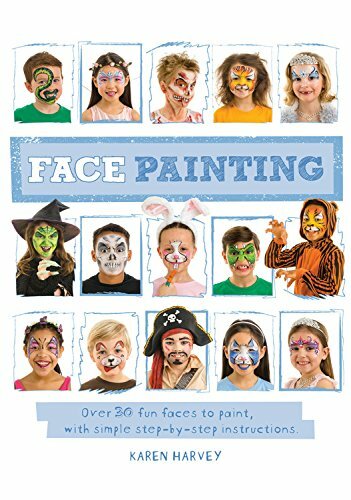 The first half of this book features fun, friendly transitions, such as birds and butterflies, puppies and princesses, knights and night skies. 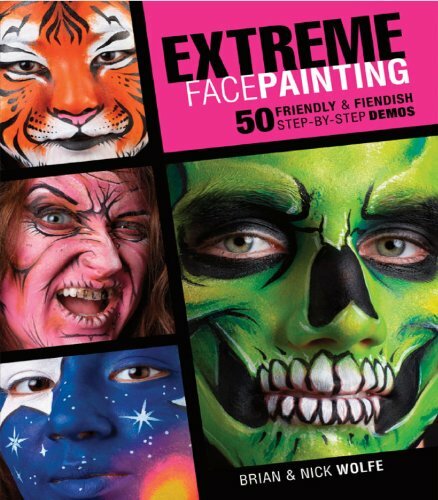 Part Two crosses over to the dark side with strikingly horrible, downright unnerving personas, including vampires, zombies, gargoyles and other foul, freakish creeps.Easy-to-follow instruction from two award-winning artists50 step-by-step projects ranging from simple to more advancedDesigns include popular kid and adult themes for parties, performances, Halloween and other occasionsExpert techniques for painting remarkably realistic textures, making human features virtually disappear, creating the look of age and other surprising, fool-the-eye effectsFull of friendly instruction for beginners and fresh inspiration for seasoned painters, this book will help you make art as original as the face that is painted! 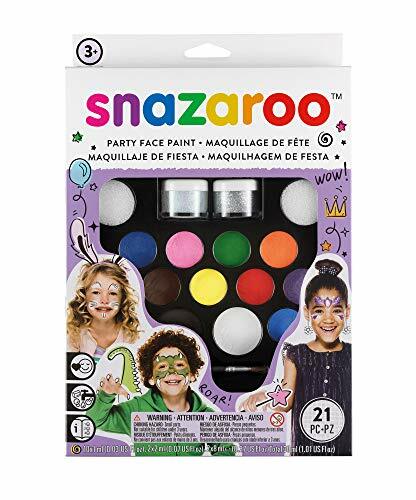 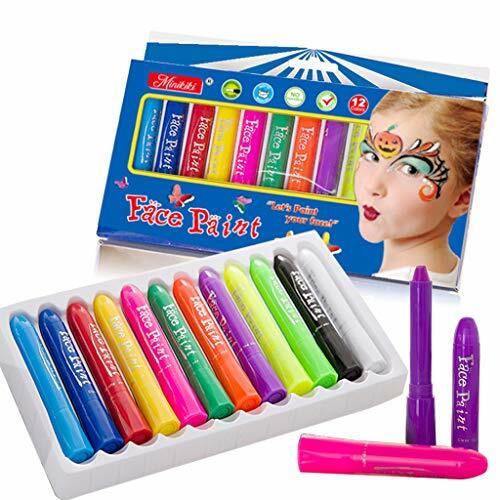 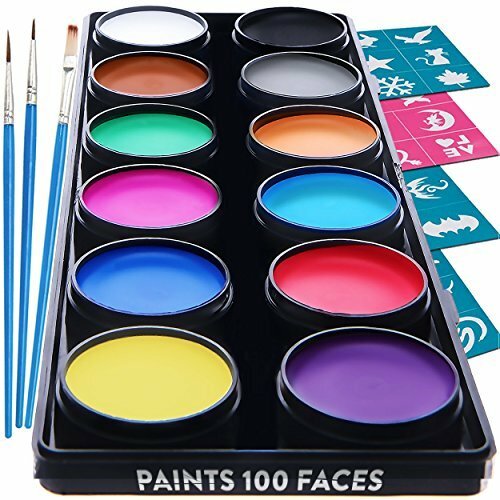 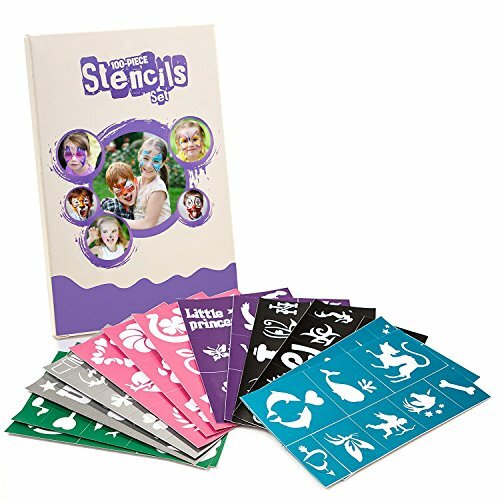 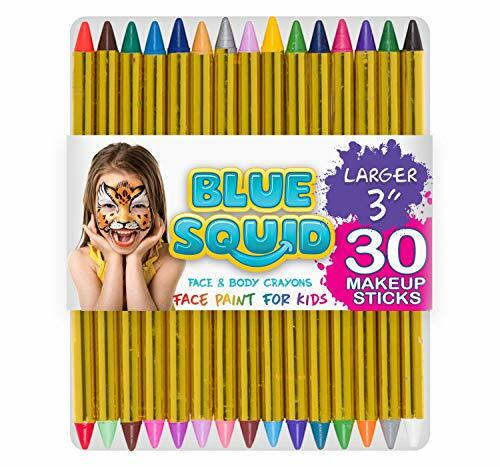 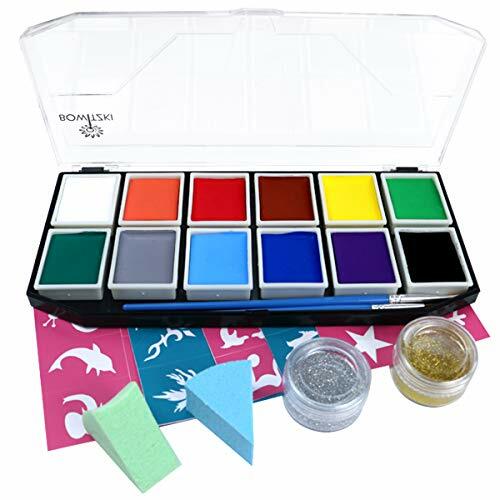 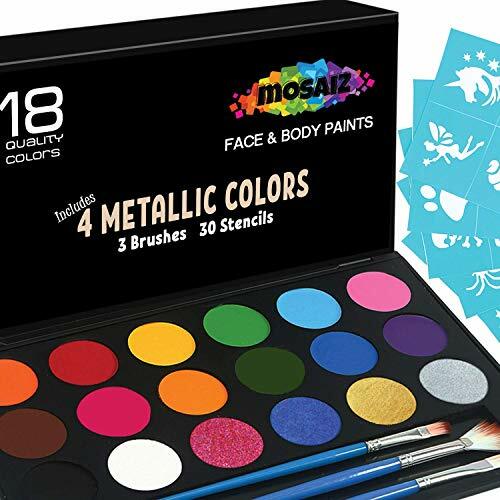 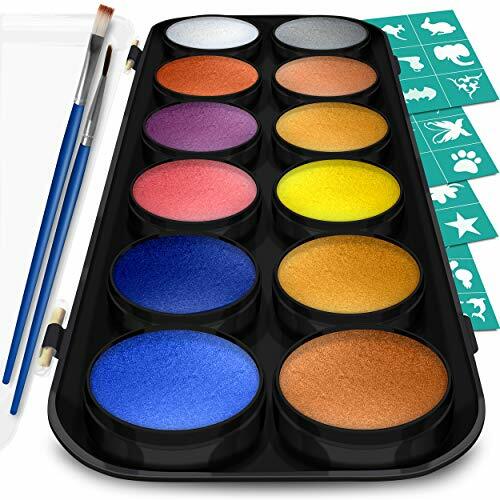 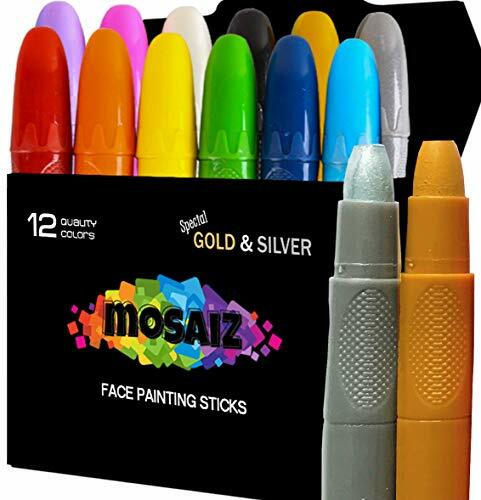 Bo Buggles Professional Face Paint Kit + 50 Stencils. 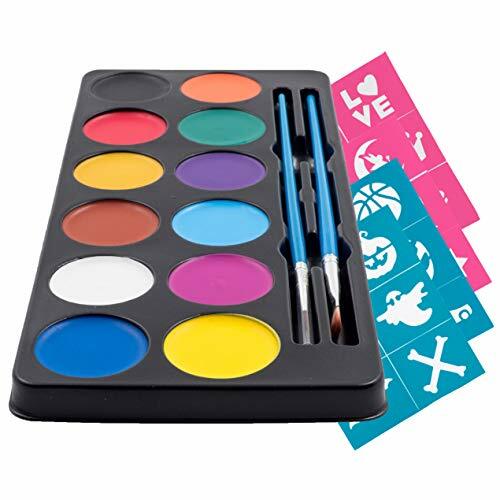 Water-Activated XL Face Painting Palette. 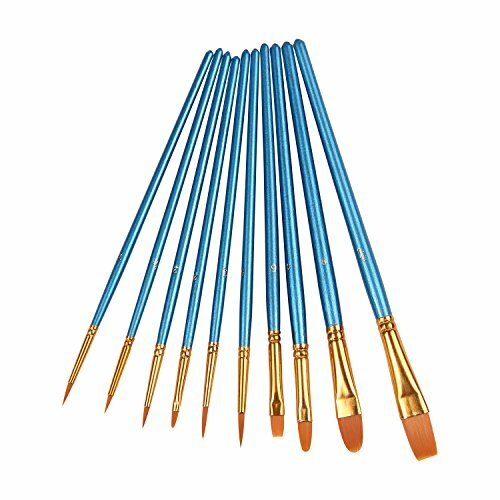 Loved By Pro Painters For Vibrant Detailed Designs. 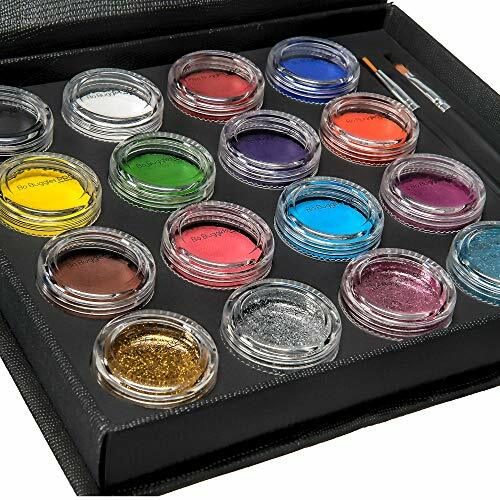 12x10 gram Paints, 4x10ml Glitters, 2 Brushes.